The 31st Annual Long Beach Bayou Festival | June 24th-25th, 2017 - TheUrbanMusicScene.com | Concerts & Festivals! The Long Beach Bayou Festival, a Zydeco, Blues Creole & Cajun festival is back with its Mardi Gras atmosphere, Cajun & Creole food delicacies and Blues, Cajun & Zydeco music at Rainbow Lagoon Park, 400 E Shoreline Drive, (at Linden Ave & Shoreline Drive), Long Beach, CA on Saturday, June 24th and Sunday, June 25, 2017. Hours are 11:00 am – 9:00 pm on Saturday and 11:00 am – 7:00 pm on Sunday. Info and tickets: 562-912-4451, www.longbeachbayou.com. Known for top-notch artists in Blues, Cajun and Zydeco, the festival features simultaneous stages of music along with plenty of activities for kids. As always the large shaded wooden dance floor will be filled all weekend long. The easy dance instruction for all ages is always a popular feature, so even the most inexperienced dancers can join in on the fun. 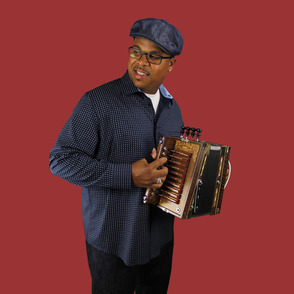 Bonne Musique Zydeco and more! Louie Cruz Beltran & more! Popular festival traditions continue with a colorful costumed Mardi Gras parade led each day by the New Orleans Traditional Jazz Band, and a delectable French Quarter marketplace with gumbo, crawfish etouffee, jambalaya, hush puppies and other Cajun and Creole delights, plus coffees and desserts such as sweet potato pie, beignets and an array of cobblers. The popular crawfish and watermelon eating contests also return this year. Children of all ages appreciate the Kids Corner featuring storytelling, sing-a-longs, arts and crafts, magic, and costume and mask making for the Mardi Gras Parade. The Kids Corner also features kids showsand games and activities for older kids are also featured. Rainbow Lagoon Park is located on the North side of Shoreline Drive, between Shoreline Village Drive and Linden Avenue. Parking is available on the Marina Green Lot across from Rainbow Lagoon Park. The event is presented by Benoit Entertainment Group. A portion of the profits will benefit LALA (Louisiana to Los Angeles), a non-profit organization which raises educational funds for local youth to attend college.